Another weather window, another hasty plan put into action. Taking heed of last months worries about my rather suspect fitness levels, I decided to head south and tackle some bothies in the borders, and contemplating a couple of shorter days and less hill time. Well relatively speaking at least. The key factor in the decision though, was availing myself of the most splendid hospitabilty of another great friend Pam, who lives near Thornhill a few miles north of Dumfries. Oh how great it was to be spoiled for a change, with mountains of food and free flowing red wine. I’m just glad I was at least doing a bit of exercise to burn off the calories. After a late evening catching up and a good night’s sleep, I studied the map in the morning and realised I could cycle off road over the Lowthers, and take in Kettleton Byre and Burleywhag in one fell swoop. Happy days. Two bothies in the space of a few hours, if only the whole project was this simple. The only thing I hadn’t factored in was that it was the start of the lambing season, and I spent a fair amount of time hanging around behind a couple of shepherds on quad bikes, who were rounding up ewes to get them safely off the hill. Anyway job done, and all I had to do when I got back to base camp was try and steel myself for the inevitable capitulation when trying to refuse third helpings of chilli con carne. The next morning I was very grateful for a lift over towards Carsphain so I could tackle my next objective which was a wee jaunt to Clennoch. I had had in mind and overnight stop but I read up that the bothy didn’t have a stove, so that put the mockers on that plan. It looks so unpromising on the map surrounded by forestry and with a wind farm stuck up on the hill above the glen, but to my surprise the bothy turned out to be a little gem. 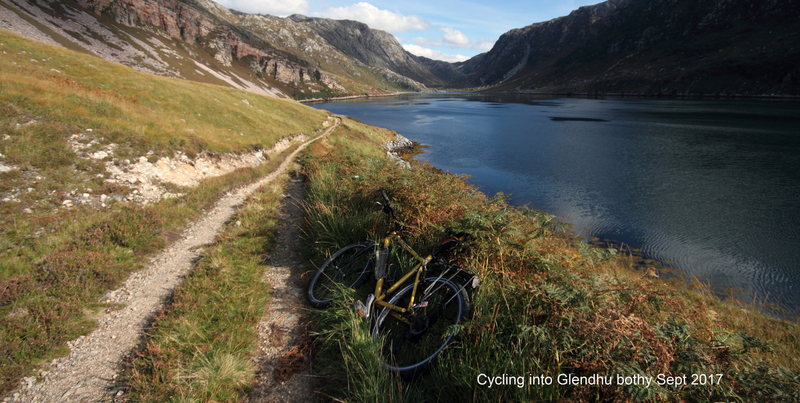 There is even an adhoc group called the Friends of Clennoch who are unofficial custodians of the place. 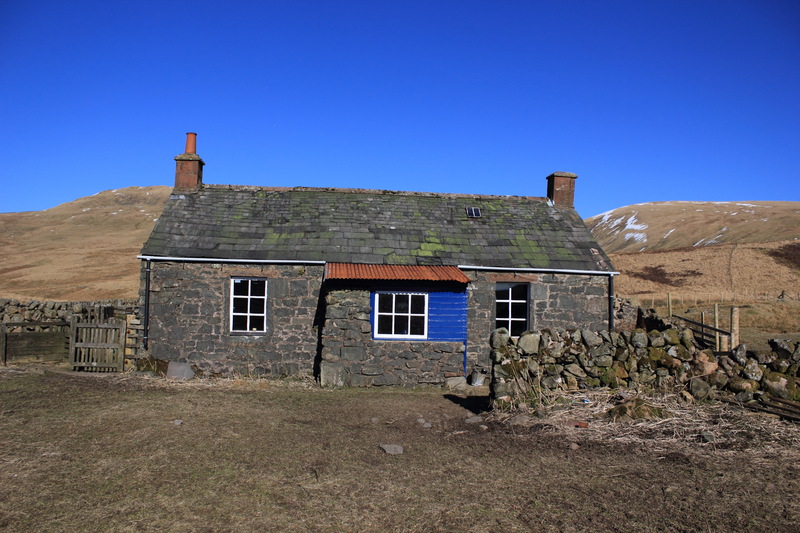 All the old bothy books had been lovingly laminated, there was a pair of binoculars for general use, and the last entry in the log described how the visitor had bought up some daffodil bulbs to plant. Thank god its a little further away from the road than other more forlorn bothies in the area. On the way home I popped in to see another glamourous old friend who was celebrating a birthday, which to my shame I had completely forgotten about. I quickly recovered though and more red wine flowed, so the limit of the next days activities barely stretched to a stumble to Tunskeen for lunch. However another bothy in the bag, six for the year already, roll on Easter. 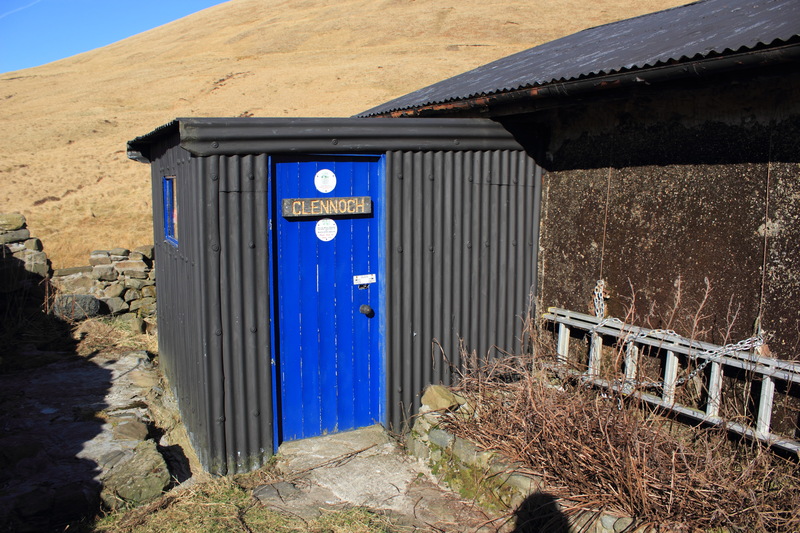 This entry was posted in cycle tours and tagged Bothy, Burleywhag, Clennoch, Kettleton Byre, Sun, Tunskeen on March 8, 2013 by bothiesonabike.